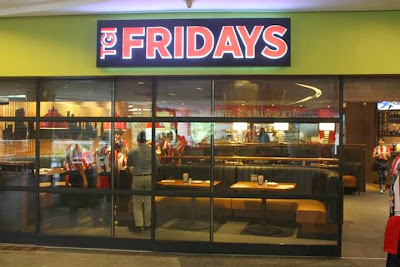 The last time I went to TGI Fridays, the stars behind the bars impressed us all. This time, it was the turn of the stars on the menu as we were at Greenbelt 3 for the opening of the 15th branch of TGI Fridays. By the end of the meal, I'm sure everyone came home happy and full. 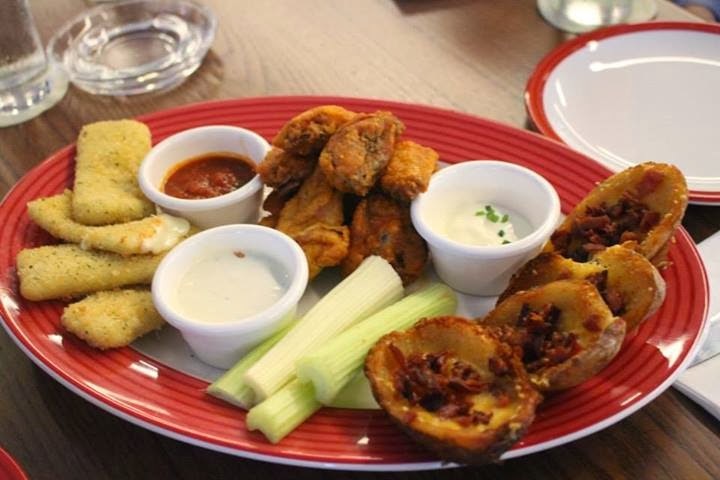 The appetizer prepared us for the joyful things to come on that day. We felt that it really was Christmas because of the wonderful food in front of us. Three for All contained spicy buffalo wings, fried mozzarella and loaded potato skins. 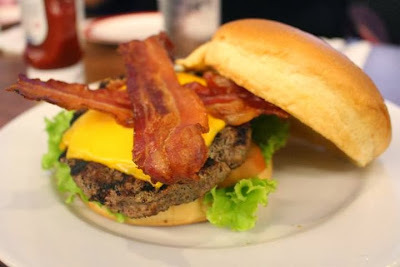 It may be called an appetizer but it can already get you full which was exactly what happened to some of the bloggers. 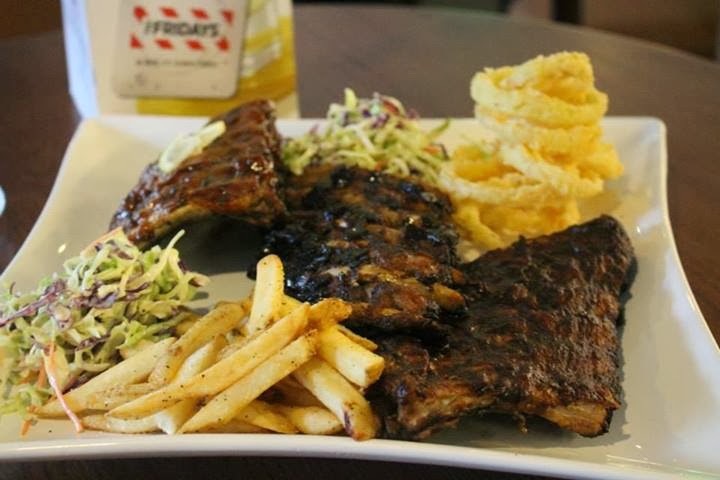 Who does not like ribs? This platter contained 3 different flavors of their baby back ribs namely Jack Daniel's, barbeque and lemongrass. I must admit everyone else loved ribs since I was not able to taste the ribs that much. I only got a few bites in and it was very good. I will certainly come back to have another bite of it. This platter was a little different since it had 3 different meats in chicken, fish and roasted pork belly. 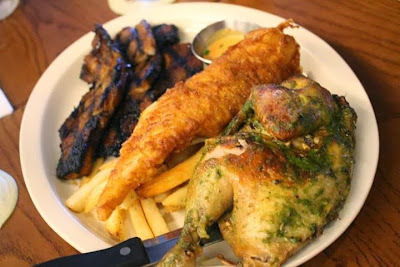 The fish here was fish and chips so there was french fries in there as well. This pie was an ice cream cake and it was a nice sinful treat. 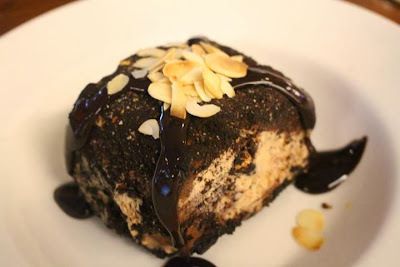 Those with the sweet tooth will surely love this offering. I enjoyed it a lot myself. 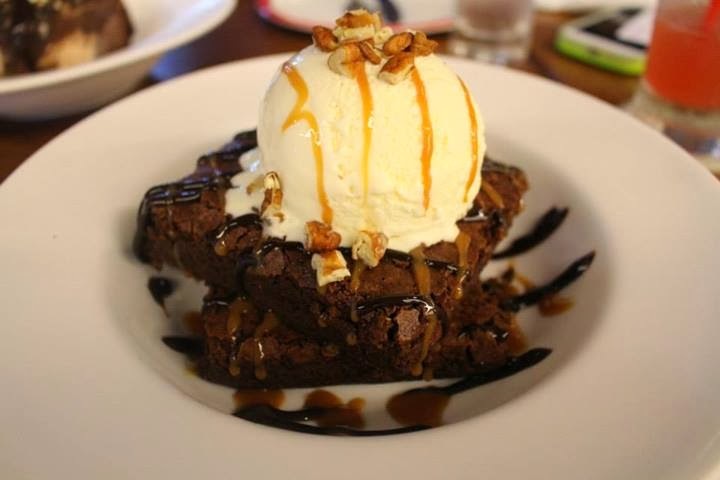 There is nothing like a freshly baked brownie with vanilla ice cream on top along with almonds. It was a sweet ending to such an awesome meal with fellow bloggers.